Five shield volcanoes make up the Island of Hawai‘i: Kohala, Mauna Kea, Mauna Loa, Hualālai and Kīlauea. The largest volcanoes are Mauna Kea and Mauna Loa, each rising to over 13,000 feet tall. The summit of Mauna Kea is the tallest point in Hawai‘i, at 13,802 feet. Visit Hawai‘i Volcanoes National Park to see the very-active Kīlauea Volcano. The Big Island of Hawai‘i is the youngest of the Hawaiian Islands in geological terms and continues to grow from volcanic eruptions. A mile and a half from downtown Hilo, the biggest city on the Big Island of Hawaii, Rainbow Falls pours over a basalt ledge in Hawaii's longest river. The 80-foot tall waterfall takes a broad single-drop plunge. 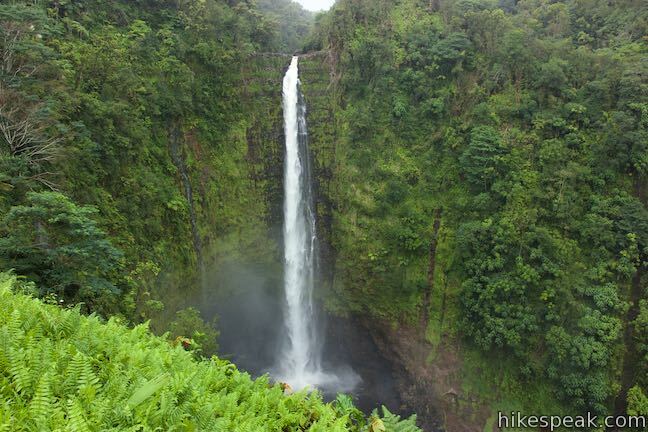 Visitors can see Rainbow Falls (and hopefully a morning rainbow) from Rainbow Falls Lookout in Wailuku River State Park, where 0.2 miles of lets-be-generous-and-call-it-hiking leads... Read more.